Las Vegas shooting: What was Stephen Paddock's motive? "Everyone has three lives," Colombian author Gabriel Garcia Marquez once posited. "A public life, a private life and a secret life." 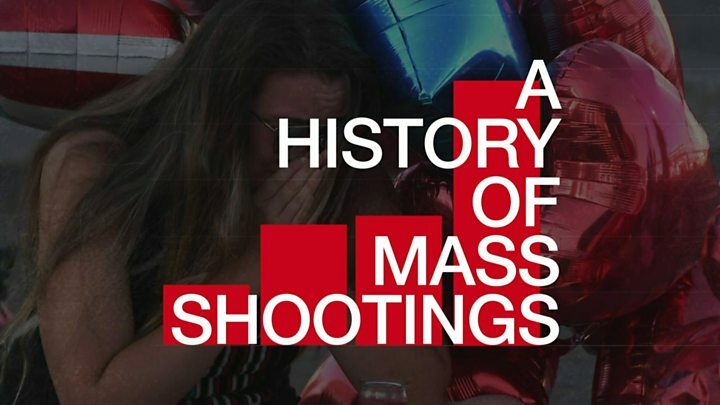 "My hunch is there is a secret life here that will eventually be uncovered," said J Reid Meloy, a forensic psychologist at the University of California at San Diego who researches mass shootings. Though the suspect appeared to show no red flags about his intentions, Paddock had been quietly stockpiling 33 high-powered weapons - which included assault rifles and explosives - over the past 13 months. He spent decades acquiring guns and ammunition, police said. 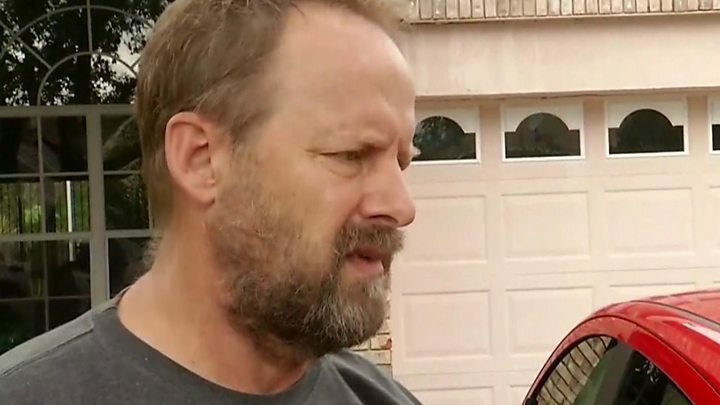 Paddock's family and friends appeared puzzled by the attack, with his girlfriend, Marilou Danley, describing him as "a kind, caring, quiet man", while his brother, Eric Paddock, told reporters that he was stunned. What do we know about Marilou Danley? At least 23 guns - 12 of which were equipped with bump-stocks, or rapid fire devices - were found inside Paddock's Mandalay Bay hotel room while he also set up cameras both inside and outside the suite. The retiree's age also appears to stand out among previous active shooters, which typically range from 15-19 years old and the 35-44 age group, according to a New York Police Department Active Shooter report released last year. 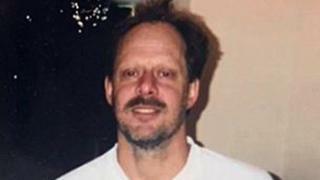 Image caption Paddock's girlfriend, Marilou Danley, described him as "a kind, caring, quiet man"
But he pointed out Paddock filed a negligence lawsuit against the owner of The Cosmopolitan resort and casino in Las Vegas in 2012, alleging he "slipped and fell on an obstruction on the floor" that cost him $30,600 in medical expenses. The casino's owner disputed the claims and the lawsuit was dropped in 2014, court records show. Another striking detail from Paddock's life is his father, who spent years on the FBI's 10 Most Wanted list as a bank robber and whose criminal career spanned five decades. Though Paddock did not grow up with his father, the detail could shed light on the gunman's perception of fame, Mr Lankford said. "His father became famous for committing crimes," Mr Lankford continued, "that's a dangerous lesson for a child." "I'm not saying he committed this mass murder because of the psychopathy of his father," Mr Meloy cautioned. "But imagine the degree of callousness, detachment and cruelty that it would take to open fire on that crowd. "The motivation may be very much embedded in his personality." "Linking [mental illness] to mass shootings reinforces the stigma that people with mental illness are ticking time bombs," he said. "And in turn, it ignores the context of gun culture, gun access and other factors that play a part in a shooting."